"So," you ask, "who is Ray Pizzi then?". Well, that's just what I asked when I picked up this record recently, and you bet I'm glad I did. 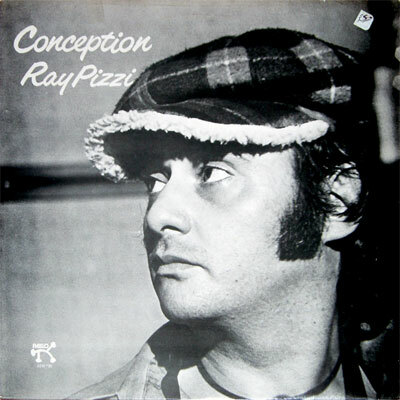 Ray Pizzi is, depending on who you ask, a woodwind specialist, concert performer, composer, arranger, educator, or one of the few great jazz bassoonists. He was also a noted sideman for leaders as diverse as Louis Bellson, Willie Bobo, Henry Mancini, Ravi Shankar and Frank Zappa. A stint with Dizzy Gillespie's big band in the 1970s led to him meeting up with Norman Granz who recorded Pizzi as leader on these 1976 recordings for his Pablo label. The music is a heady jazz-funk-rock fusion that, in common with most fusion LPs, meanders much of the time. But a couple of tracks stand out - most notably side one's 'The Missing Link'. Featuring a beautifully clipped, arpeggiated theme by Pizzi on tenor and some excellent group dynamics this is the album's high point. On side two, 'Friday Night Rush Hour Blues' repeats the same ideas to good effect, but elsewhere there are lacklustre tracks like 'Willow Creek', whose only saving grace is as a vehicle for the unusual sound of solo bassoon in jazz. I say unusual, but in this case not good. Pizzi has recorded very few sessions as leader - there's a discography here - which is shame as when he's good on this album he's very good - it just doesn't happen all that often.